I'm Renting a Car. What Extra Fees Will I Have to Pay? Renting a car is a complicated process. When you search for a good rental car rate, you will probably be quoted the "base rate," which is the daily charge for a specific class of car, such as compact or sport utility vehicle. The rental car company adds on required state, city or county taxes, its own fees and surcharges and facility charges (generally assessed by airports). You will see items like "vehicle licensing fee" – that is the amount the rental car company charges in order to recoup the cost of registering and licensing the car – and "energy recovery fee" – this one is similar to a fuel surcharge. You may not be able to find out about all the fees you will be charged until you show up at the rental car counter. When you arrive at the rental office, carefully review your contract to be sure you understand all the charges. Look for fees triggered by specific events. You may want to ask about some of these charges before you sign your contract. The penalty for returning your car early is sometimes called "rental change fee." You can be charged a fee if you return your rental car before the date and time on your contract. Alamo, for example, charges $15 for an early return. If you turn your car in late, you will probably be assessed a fee as well as an hourly or daily rate for the extra rental time. 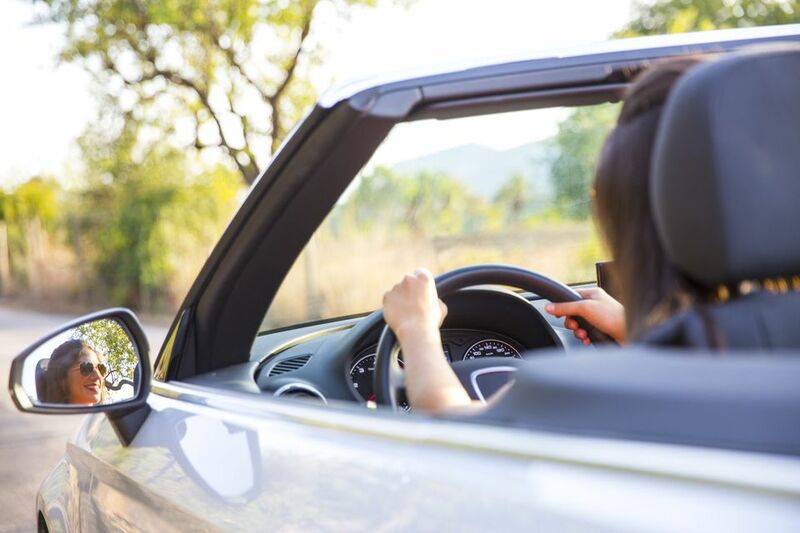 Note that many rental car companies have short grace periods – 29 minutes is the norm – but the grace period does not apply to optional charges such as collision protection plans and GPS rentals. Expect to pay a full day's charge for these optional items if you return the car late. Late return fees vary; Thrifty charges $16 per day, while Avis charges $10 per day. You may be able to avoid a late return fee if you call your rental car office to extend your rental before the car is due back. Some rental car companies charge a fee if you do not show them a receipt for your fuel purchase. This typically happens if you rent a car for local driving only, use very little fuel and return the car. To avoid this fee, refuel the car within ten miles of your rental car office and bring the receipt with you when you return your car. Avis assesses a $15.99 refueling fee ($16.99 in California) if you drive less than 75 miles and fail to show the rental agent your fuel receipt. Some rental car companies charge a fee to add another driver to your contract. Even spouses may be subject to this fee. If you decide to use your rental car miles for credit on a frequent traveler program, such as a frequent flier account, expect to pay a daily fee for the privilege. For example, National charges $0.75 to $1.50 per day to add miles to your frequent traveler account. If you lose your rental car key, expect to pay for its replacement. Charges vary, but, given the high cost of today's "smart" keys, you will probably pay $250 or more to replace one key. Beware the two-key key ring; you will be charged for both keys if you lose them. If you rent a luxury or premium car, you may be asked to guarantee your reservation with a credit card. Be sure to find out how far in advance you will need to cancel your reservation if you decide not to rent the car, because some rental car companies charge a cancellation fee if you cancel after this deadline. National, for example, charges $50 if you cancel your guaranteed reservation less than 24 hours before your rental time. Prepaid rentals, while less expensive, often involve cancellation fees, particularly if you cancel your rental less than 24 hours before your scheduled pickup time. In the US, Hertz charges $50 if you cancel your prepaid rental at least 24 hours in advance. If you cancel that reservation less than 24 hours before your pickup time, Hertz charges $100. When you return your rental car, carefully examine your receipt to be sure you were not charged a fee by mistake. If you were charged incorrectly and the rental car company refuses to remove the fee from your bill, contact your rental car company directly (email is best). You can also dispute the charge with your credit card company if you paid by credit card. Save copies of all receipts, emails and letters. If you do discuss the situation by telephone, write down the date and time of the call, the name of the person you spoke with, and the topics discussed. Generally, however, it is best to resolve billing disputes by email or letter so that you have documentation of the discussions that took place.